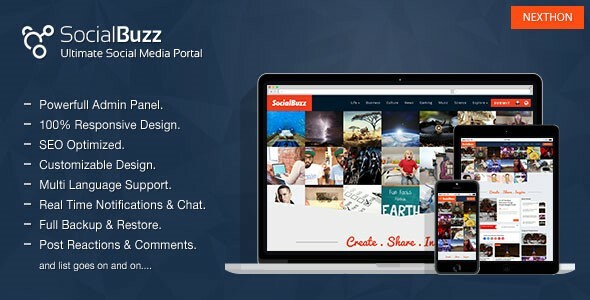 SocialBuzz v1.4 - Ultimate Social Media Portal - CODELISTPRO | Free Premium Scripts, Plugins, Apps Source Code. SocialBuzz Script lets you create content based social networking website. Where users can create their custom profiles post content. follow other users, send them messeges, like their content, leave reactions, comment or share. Its never been so easy to create Viral Content publishing websites like Diply, BuzzFeed, and Dose.com. Using SocialBuzz Script You can create Images posts, Video Posts, Sound Posts, Polls Posts, Quizes Posts, Embed Social Media Posts, Embed Iframes, Embed Maps and Text Posts, it supports almost all major social, video and music websites.